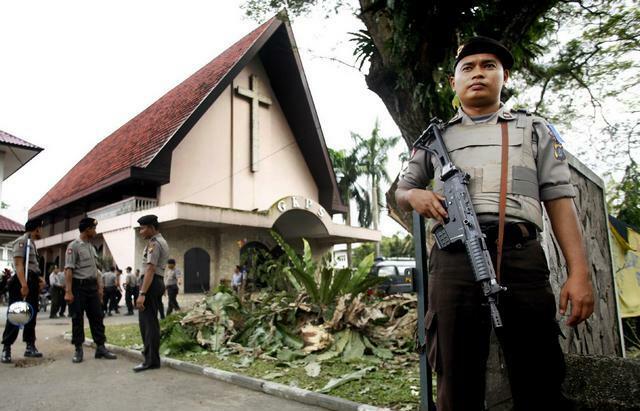 BCF : North Sulawesi, it turns out, is quite Protestant and reputed to have a church every 100 meters. Why do I bring this up? Because this NPR report contradicts the widespread media fantasy of Indonesia as this happy inter-religious paradise. This recent New York Times article –- which attributes news of interfaith fights to ‘international news reports’ – is a case in point. Remember, former President Barack Obama showed up there last summer in Indonesia to tout the interfaith harmony there.